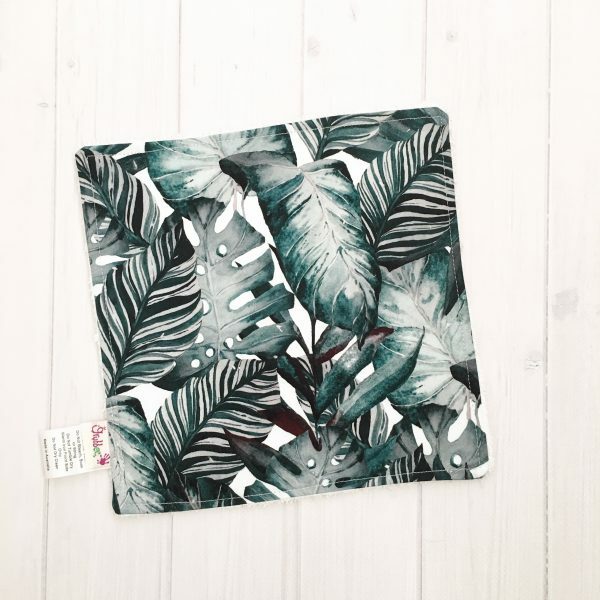 Nature themed Wash cloths make a perfect gift for newborns and the whole family. Our cloths are made from 100% cotton and are backed with a woven 70% bamboo 30% cotton terry towelling. Each wash cloth measures approximately 19 cm x 19 cm and is top stitched for durability. You will love how soft and gentle they are on the skin. in a set of six. Simply make your selection from the drop down menu. Wash cloths can be made from nearly all of our in stock fabrics, so if you would like a different fabric combination, just leave a note in the comment section when checking out. 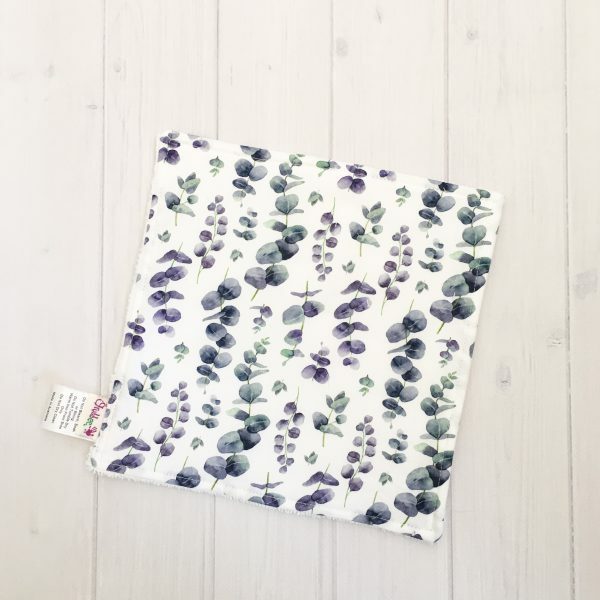 These beautiful Australian eucalyptus and koala prints have been designed by Thistle and Fox. 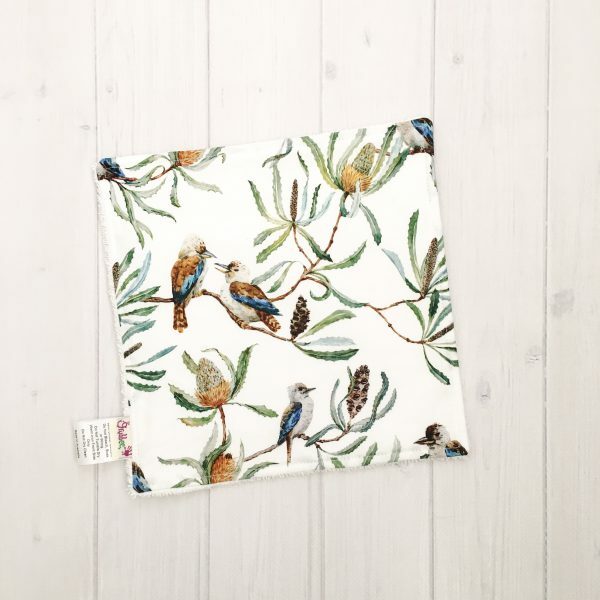 They are absolutely stunning and look perfect on our wash cloths. Matching bibs and burp cloths are also available. We have also added a silver dollar eucalyptus and wattle to the range.